Don't miss CNN on Monday night, starting at 8 ET with "In the Arena" live from ground zero. At 9 ET, former New York Mayor Rudy Giuliani appears on "Piers Morgan Tonight." "AC360°" at 10 ET has more details on the raid that led to Osama bin Laden's death. 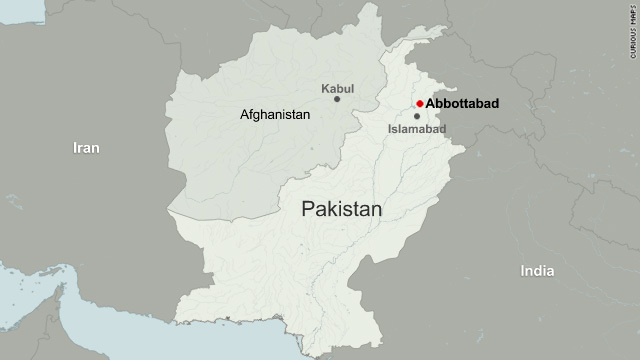 (CNN) -- A nearly decade-long manhunt for the mastermind of the worst terrorist attacks on U.S. soil ended north of Pakistan's capital Monday as American commandos killed al Qaeda leader Osama bin Laden in a pre-dawn firefight. The Saudi exile had been the world's most wanted man since the September 11, 2001, attacks on New York and Washington that killed nearly 3,000 people. News of his death, announced by President Barack Obama shortly before midnight Sunday Eastern time, drew cheering crowds to the streets of New York and the gates of the White House. "It's a win for the United States of America," Al Santora said outside the Manhattan firehouse where his son Christopher once worked. "It's a win for everybody in the world, the free world, and hopefully we'll have some more wins," Santora added. Christopher Santora was one of the 343 New York firefighters who died when al Qaeda operatives turned jetliners full of people into missiles packed with jet fuel, using them to bring down the twin towers of New York's World Trade Center. Bin Laden's followers also flew a hijacked plane into the Pentagon that day, while a fourth airliner crashed into a Pennsylvania field after passengers attempted to resist. "We'll never get him back, but it makes it a little easier," Santora said. Obama plans to visit New York on Thursday to meet with families of those killed in the attacks and to visit the World Trade Center site, now being rebuilt but still widely known as "ground zero," a senior White House official said Monday. The 9/11 attacks prompted a U.S. invasion of Afghanistan in pursuit of al Qaeda and its allies in the Taliban, the fundamentalist Islamic militia that ruled most of the country at the time. Bin Laden slipped away from U.S. forces at the Afghan stronghold of Tora Bora and remained at large for the next nine-plus years, exhorting his followers in periodic messages to carry out attacks on Americans and their allies. The raid on bin Laden's compound in Abbottabad, about 50 kilometers (31 miles) north of Islamabad, came about four years after U.S. intelligence officials identified a man who served as one of the al Qaeda leader's trusted couriers, according to senior Obama administration officials. 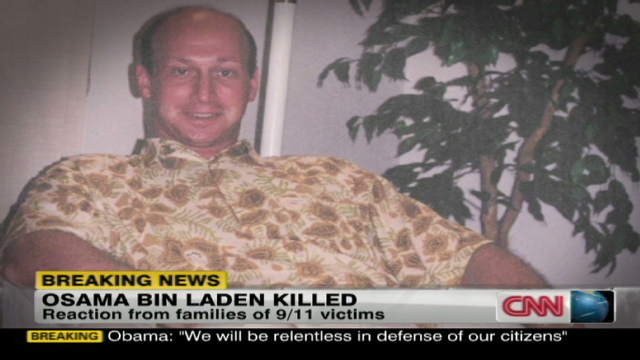 Bin Laden was shot in the head and chest during the operation, a senior administration official told CNN. White House counterterrorism adviser John Brennan said that despite intelligence indicating that he was in the compound, there was no certainty the al Qaeda leader was actually there when the president authorized the assault. "It was probably one of the most anxiety-filled periods of time I think in the lives of the people who were assembled here yesterday," Brennan told reporters Monday afternoon. "The minutes passed like days, and the president was very concerned about the security of our personnel. "When we finally were informed that those individuals who were able to go on that compound had found an individual that they believed was bin Laden, there was a tremendous sigh of relief that what we believed and who we believed was in that compound actually was in that compound and was found. And the president was relieved once we had our people and those remains off-target." The president and top aides were gathered in the White House situation room to monitor the progress of the operation Sunday afternoon when the message "Geronimo EKIA" -- indicating that bin Laden had been killed in action -- was called in from Pakistan. The operation recovered "quite a bit of material" that intelligence officers will be sifting through to track down other al Qaeda figures, a senior U.S. intelligence official said. Brennan called the decision "one of the most gutsiest calls of any president in recent memory." 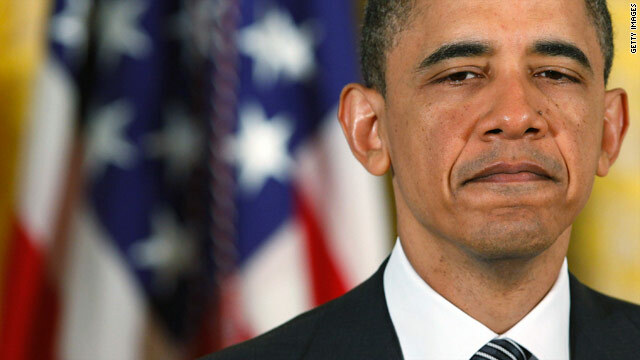 And as reactions poured in from all over the world, Obama declared Monday "a good day for America." "As commander-in-chief, I could not be prouder," he said at a previously scheduled Medal of Honor ceremony. In announcing bin Laden's death Sunday night, Obama called it "the most significant achievement to date in our nation's effort to defeat al Qaeda." "A small team of Americans carried out the operation with extraordinary courage and capability. No Americans were harmed. They took care to avoid civilian casualties," he said. "After a firefight, they killed Osama bin Laden and took custody of his body." Four others in the compound died in the raid, including bin Laden's adult son and a woman, Brennan said. "Thinking about that from a visual perspective, here is bin Laden, who has been calling for these attacks, living in this million-dollar-plus compound; living in an area that is far removed from the front; hiding behind women who were put in front of him as a shield," Brennan told reporters. "I think it really just speaks to just how false his narrative has been over the years." A senior administration official said later that the woman who died was not bin Laden's wife and may not have been used as a human shield, as originally reported. 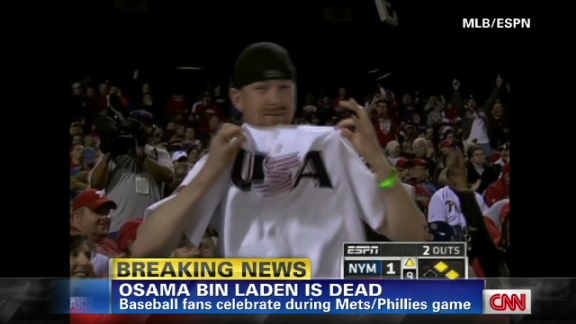 Nor did bin Laden have a gun, as earlier reports had indicated, the senior official said. 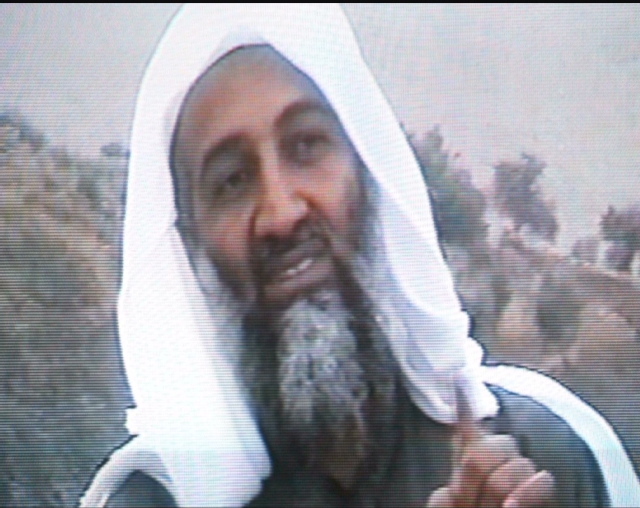 A DNA match confirmed with virtual certainty that bin Laden was killed in the operation, a senior administration official told CNN. Officials compared DNA of the person killed with bin Laden "family DNA," a senior administration official said, and a senior U.S. defense official said one of bin Laden's wives identified the body to U.S. forces. There are also photographs of the body with a gunshot wound to the side of the head that shows an individual who is recognizable as bin Laden, a U.S. government official said. No decision has yet been made on whether to release the photographs and if so, when and how. The compound where bin Laden was holed up was surrounded by walls 10 to 18 feet tall and topped by barbed wire. Senior Obama administration officials believe the compound was built five years ago for the specific purpose of hiding the fugitive terrorist leader. The walls surrounded a three-story house in a town that houses a prestigious Pakistani military academy, leading critics to question what Pakistan -- a U.S. ally, but one where Islamic militants enjoy substantial support -- knew about who was inside. Brennan said Monday it is "inconceivable" that bin Laden did not have some kind of support system in Pakistan that allowed him to live in hiding there. But he refused to speculate on what kind of support bin Laden might have received, or whether the Pakistani government or official Pakistani institutions had any role. The successful operation sends a message to the Taliban, which is still battling U.S. and allied forces in Afghanistan, U.S. Secretary of State Hillary Clinton said Monday. "You cannot wait us out. You cannot defeat us. 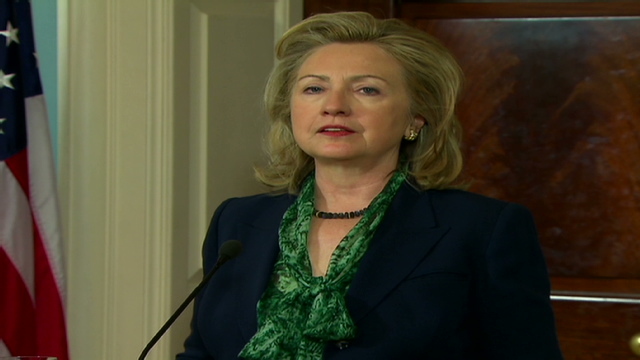 But you can make the choice to abandon al Qaeda" and participate in a peaceful political process, Clinton said. "There is no better rebuke to al Qaeda and its heinous ideology," she said. Bin Laden's body was later buried at sea, "in strict conformance with Islamic precepts and practices," Brennan said. He would not disclose details. But while Americans celebrated bin Laden's killing, terrorists "almost certainly" will attempt to avenge his death, CIA Director Leon Panetta said in a message sent to agency employees. Homeland Security Secretary Janet Napolitano, in a statement, said the "death of Osama bin Laden is an important success not only for the United States, but the entire world. Our efforts to combat terrorism, however, do not fixate on one individual, and we remain completely focused on protecting our nation against violent extremism of all kinds." The Department of Homeland Security does not plan to issue a new alert, and would only do so if there is "specific or credible information to convey," she said. U.S. diplomatic facilities around the world were placed on high alert following the announcement of bin Laden's death, a senior U.S. official said, and the U.S. State Department issued a "worldwide caution" for Americans. The travel alert warned of the "enhanced potential for anti-American violence given recent counter-terrorism activity in Pakistan." 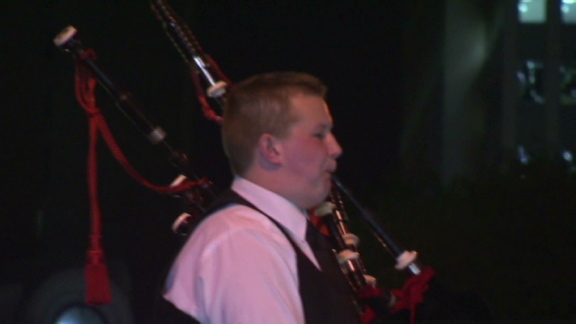 Among those who lost loved ones, there was a mix of celebration and remembrance. "While we can close the book on Osama bin Laden at present, for the parents and families there will never be closure," said Sally Regenhard, mother of a firefighter who died on 9/11, describing the day as "bittersweet." "It's good to see an evil person receive justice," she added, "but it's very bitter to realize that so many good people met a brutal and needless death at the hands of this monster." And outside the White House, the scene was one of pure jubilation. Hundreds reveled through the night, chanting "USA! USA!" Others chanted "Hey, hey, hey, goodbye!" in reference to the demise of bin Laden. Many also spontaneously sang the national anthem. 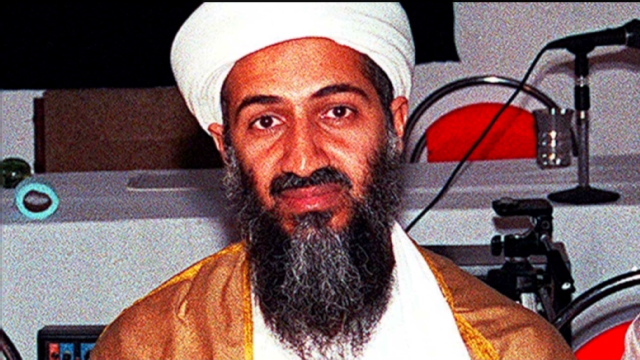 Bin Laden was the son of a prominent Saudi construction magnate who joined thousands of other Muslim volunteers to battle the Soviet Union in Afghanistan during the 1980s. He turned against the Saudi monarchy when it agreed to allow U.S. troops into the kingdom during the 1991 Persian Gulf war, and launched his jihad against the United States in 1997. He had been implicated in a series of deadly, high-profile attacks that had grown in their intensity and success during the 1990s. They included a deadly firefight with U.S. soldiers in Somalia in October 1993, the bombings of two U.S. embassies in East Africa that killed 224 in August 1998, and a bomb attack on the USS Cole that killed 17 sailors in October 2000. He once reportedly slipped out of a training camp in Afghanistan just hours before a barrage of U.S. cruise missiles destroyed it in 1998. The 2001 battle at Tora Bora, near the Afghan-Pakistani border, "was certainly the last time that we had actionable and what we thought was very credible information about where he was located," Brennan said. While the death of bin Laden "is a significant victory," the war on terrorism is not over, said Frances Fragos Townsend, former Homeland Security adviser to President George W. Bush -- who launched the invasion of Afghanistan and the more controversial invasion of Iraq in 2003. "We've been fighting these fractured cells. We've seen the U.S. government, military and intelligence officials deployed around the world," Townsend said. "By no means are these other cells nearly as dangerous as he is, but we will continue to have to fight in chaotic places." But for now, many Americans were soaking up the historic moment. "It's what the world needed," said Dustin Swensson, a military veteran of the Iraq war who joined the revelers outside the White House. "(I'll) always remember where I was when the towers went down, and I'm always going to remember where I am now." CNN's Ed Henry, Mary Snow, Elise Labott, Jeanne Meserve, Pam Benson, Holly Yan, Aliza Kassim, Barbara Starr, Suzanne Kelly and David Ariosto contributed to this report.